Hi , my name is Bee and I am a Gujju. Don’t worry I’m not an addict or anything, except if you count being addicted chocolate and handbags. A Gujju is slang for someone of Indian origin from the Gujarat in the north west of India. 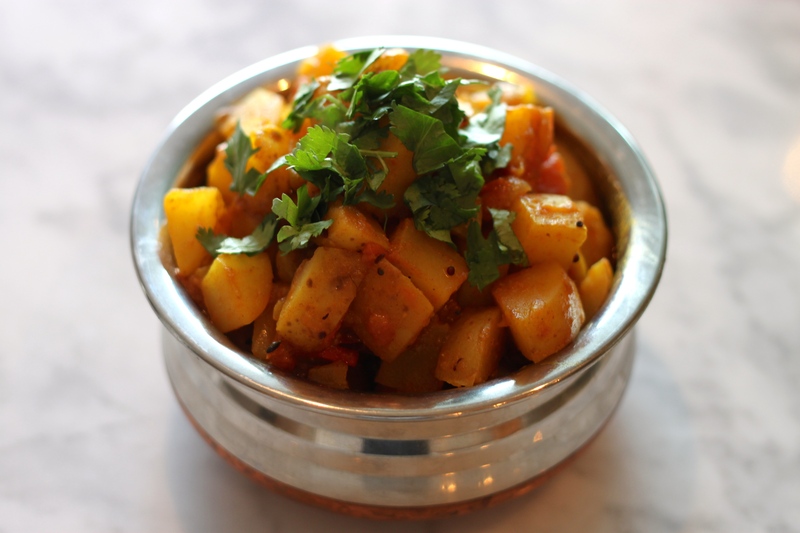 Most Gujaratis are vegetarian and the classic potato curry is a staple in the Gujarati home. This is a really simple dish, but took me a little while to master as I would be a too heavy handed with chilli or I would try it with tinned tomotoes and a little tomato paste, so what I’ve learnt is if I keep it fresh and simple the results are simply lovely. 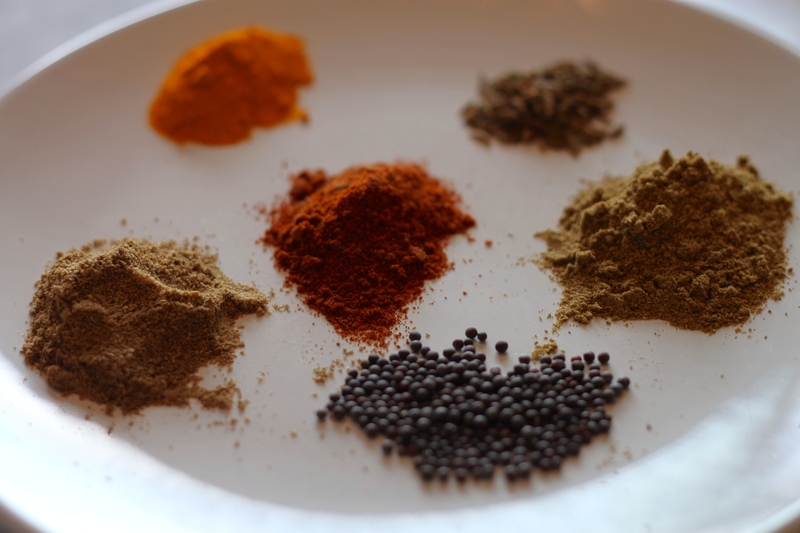 There are several substitutions you can make along the way if you wish, but I do urge you to try and get the spices as they will make all the difference. 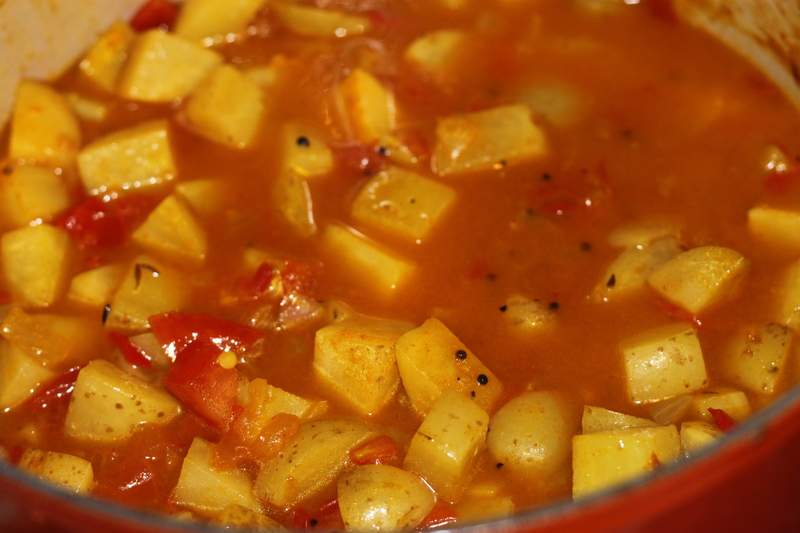 Enjoy with steaming hot basamti rice or a roti, and plain yoghurt if its too spicy….delish! 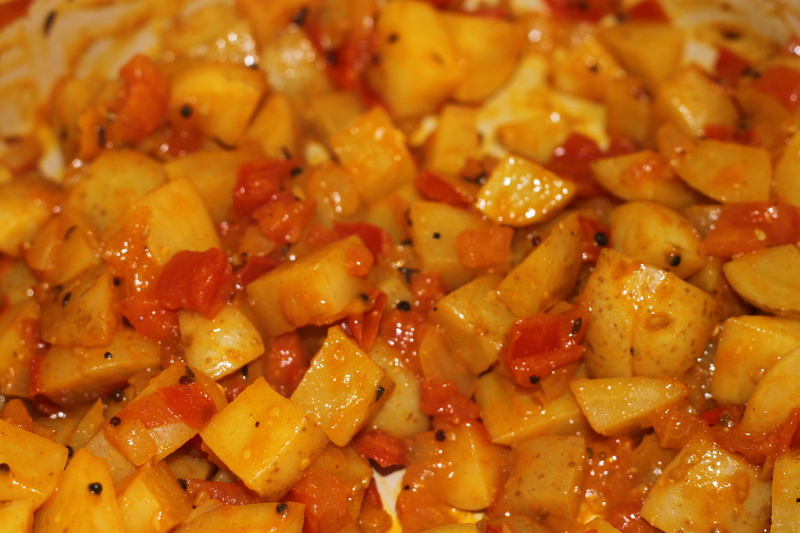 1 pinch asafoetida aka onion powder (optional) – I actually didn’t have this so I used 1/2 an onion instead. Heat about 2 Tbsp of vegetable oil in a heavy bottomed pan (I’ve used a wok before also) on a medium heat and the mustard seeds. 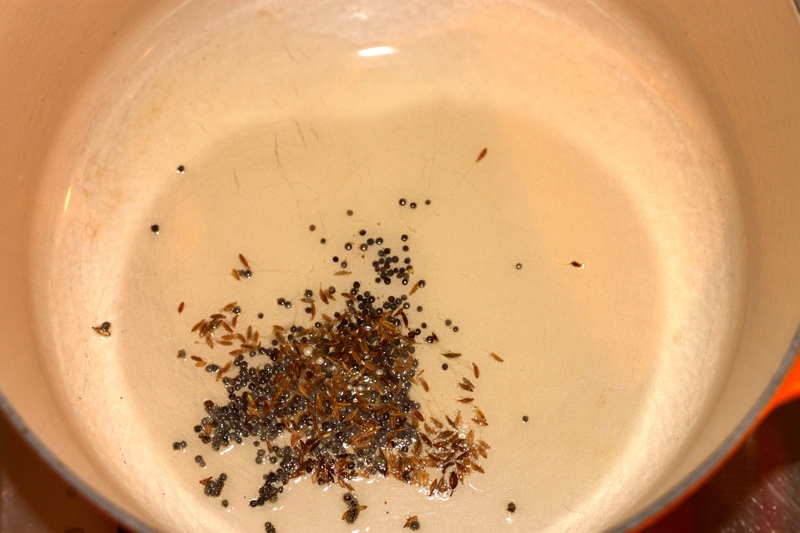 Once the mustard seeds begin to crackle add the cumin seeds and fry for a further another 30 secs or so. 3. 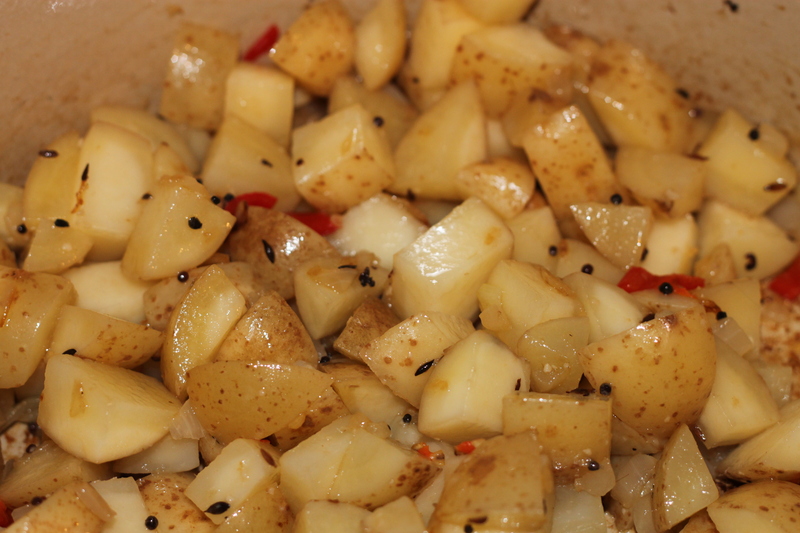 Add the potatoes mix and coat the potatoes in the fried mixture. 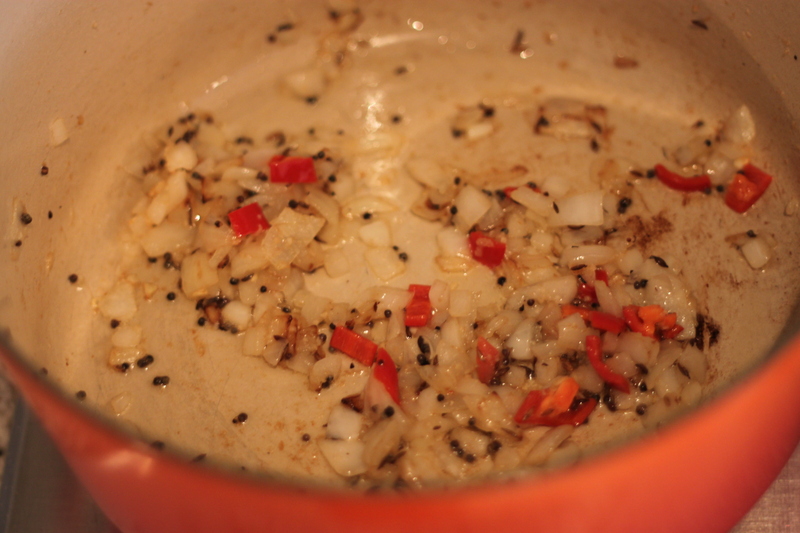 Saute for approx 3 – 5 minutes. 4. 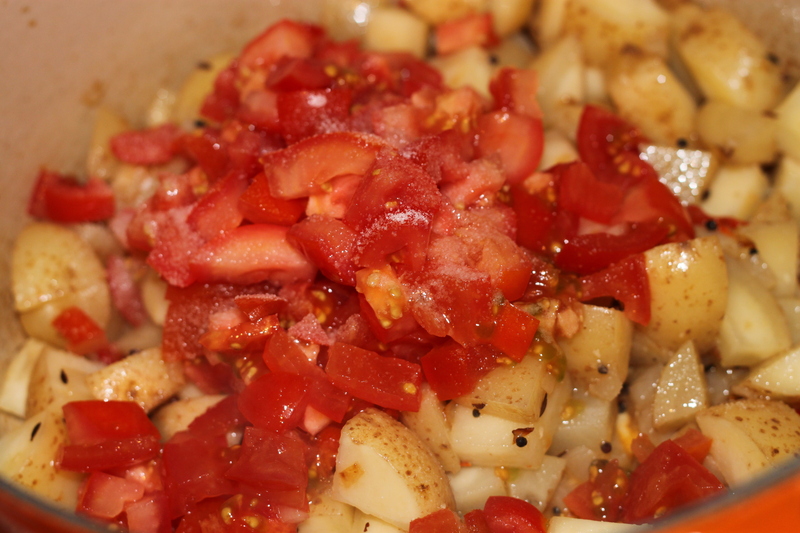 Add the tomatoes and salt (to taste) and saute for a further 3 mins or so. 5. Add the red chilli powder and turmeric powder and saute for a further 1 minute. 5. Add approx 1 1/4 cups pf water , just enough to drown all the potato. Over a medium heat let everything come to a boil , then a medium / low heat cover the pan and cook until the potatoes are cooked. This should take about 10 – 15 minutes, but make sure to stir every 4 – 5 mins so nothing sticks to the bottom. 6. Once cooked add the coriander and cumin powder and mix well and take off the heat. Garnish with some fresh coriander to serve.. yum! !